Taking a trip to Fraser Island will definitely be one of the highlights of your time in Australia. From four-wheel driving along the beach to floating in the crystal-clear waters of Lake Mackenzie, there are endless places to discover. You will feel as though you are the only one visiting this remote island off of Queensland, with the bright starry nights and epic campsites bringing a level of remoteness that will have you feeling relaxed and recharged afterwards. Here are 10 reasons why we think this island should be a top priority on your trip up the east coast of Australia. Need I say more? 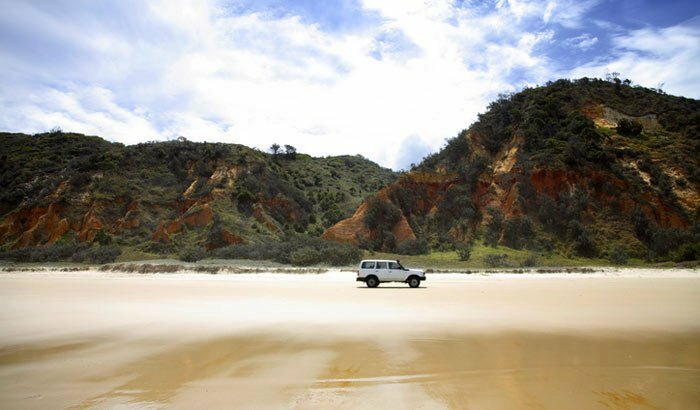 Four-wheel driving along the beach on Fraser Island is the only way to get around, with both guided tours and opportunities to drive yourself! It is truly an epic experience driving through the sand dunes, with the ocean waves crashing on one side and dingoes roaming the bushland on the other. The island is home to several freshwater lakes, including the famous Lake Mackenzie, a lake *so* clear you’ll have to see it to believe it. This is due to the fact that the silica sand acts as a filter for the water, making it feel as though you aren’t even under water because you can see absolutely everything. The sand is so pure that you can actually shine your jewelry with it and it will come out sparkling! I have never seen as many stars in the sky as I’ve seen on Fraser Island. This is the real deal. It was as though the sky was taken over by bright, white dots and there was no darkness to be seen anymore. It is truly magical. One of the local species residing on the island are, you guessed it, dingoes. 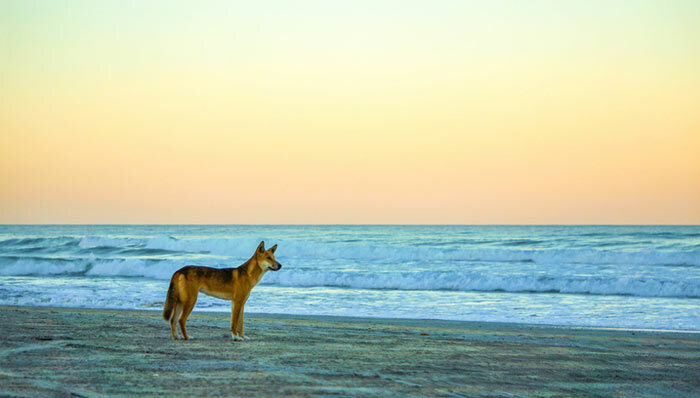 Flocks of these wild dogs frequently stroll along the beach, especially at dusk. Make sure to never approach one though, because even if they look like your childhood pet, they are, in fact, wild. 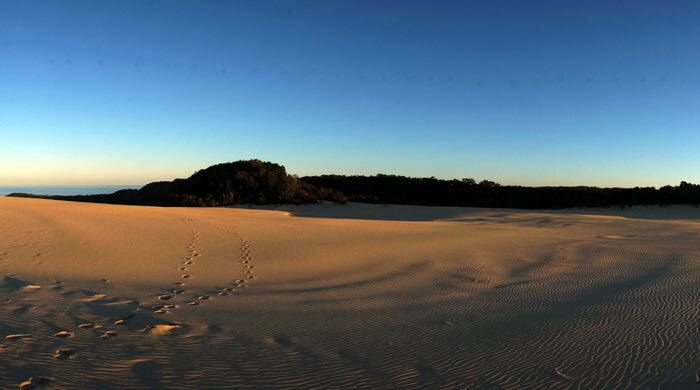 Fraser Island is the biggest sand island with UNESCO World Heritage site status, so naturally it’s full of epic sand dunes to roam in. It’s truly epic to experience untouched sand that goes on for miles, and you can even grab a sand sled and slide down the dunes for a guaranteed adrenalin rush! 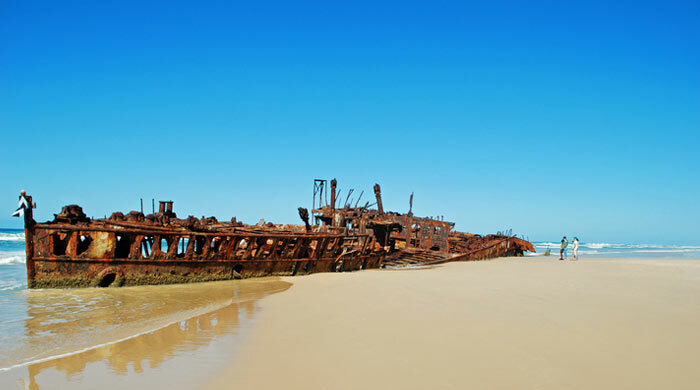 The S.S. Maheno shipwreck is situated directly on the shore of the island, dating back to 1935 when it washed up onto the beach. Today, it’s a popular tourist attraction and a pretty cool piece of history to witness in person. 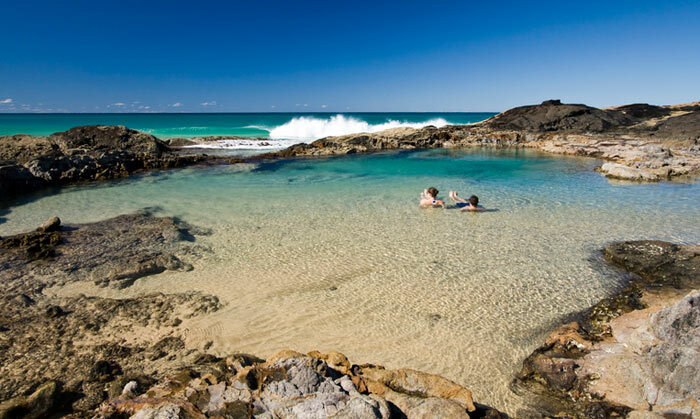 Who needs a jacuzzi when you’ve got the Champagne Pools? This natural wonder is a popular swimming spot known for its pools of bubbling water caused by waves crashing over the rocky shoreline. Enjoy a day relaxing in the salty water, as the protected area is safe from intense waves crashing over you. 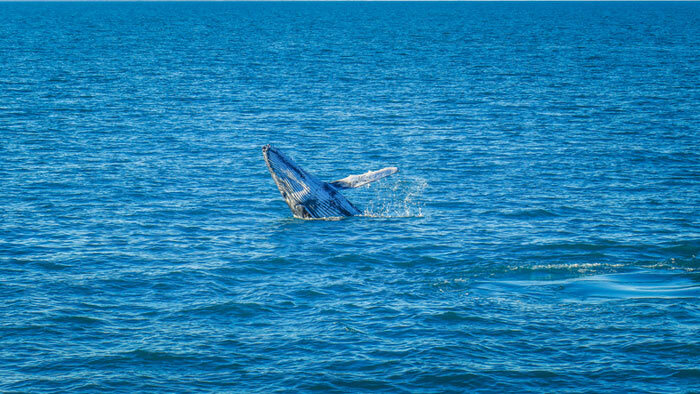 From August to October you can witness humpback whales playing in the ocean in Fraser Island’s protective waters. These beautiful beasts are so large that swimming alongside one is a pretty humbling experience, to say the least. 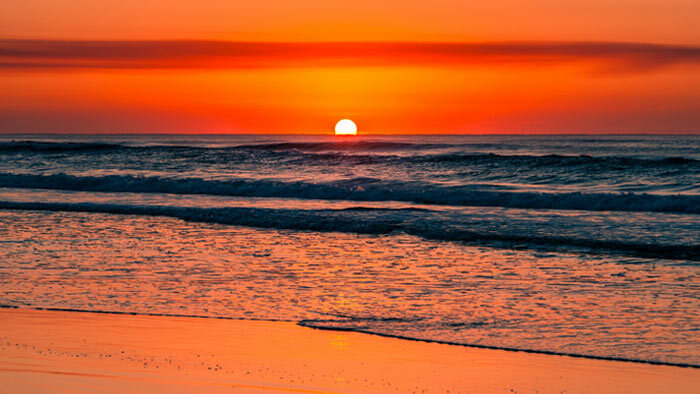 With most destinations in Australia you’ll be sure to witness an epic sunset, and Fraser Island is no exception. 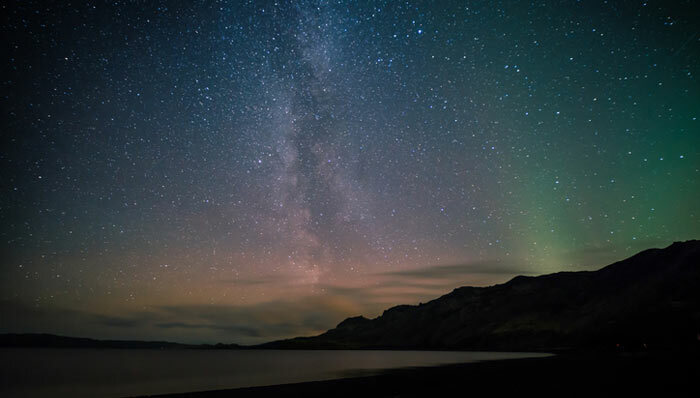 Make sure to head to the beach from your inland campsite to experience the sun setting over the water, followed by star gazing while lying on the sandy floor. 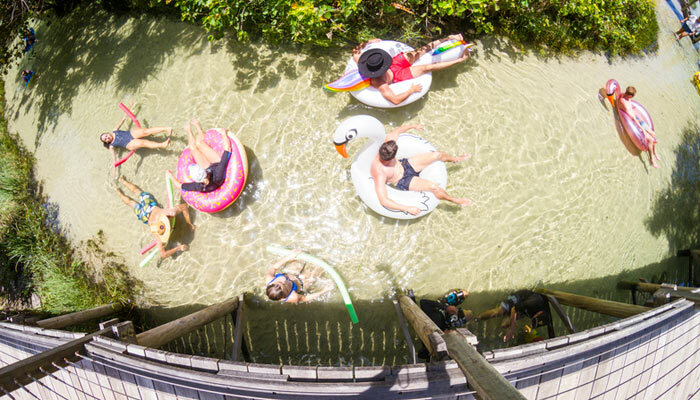 Yet another spot with crystal-clear water, Eli Creek is the perfect spot to grab a tube and float down to the end where the river meets the ocean. All you have to do is sit back and relax as the current does all the work for you… it’s a hard life, isn’t it?